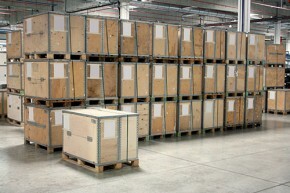 We can produce crates or pallets of any size or shape to fit your shipping needs. We have made pallets as small as 20 inches by 20 inches and as large as 15 feet by 6 feet, and nearly everything in between. The choice of new or recycled materials is an option at Reardon Pallet Company, Inc. The use of recycled material can potentially save you a considerable amount of money on each purchase, yet retain the integrity of the pallet. Because we build your products on site, we are flexible enough to tailor the products to your specific needs. Give Reardon Pallet Company, Inc. a call today at (816) 221-3300 so we can help create the custom crate you desire!